Senator Joni Ernst and Vice President Mike Pence. Senator Joni Ernst hosted a gathering in Boone today that featured Vice President Mike Pence — along with assurances from Pence and others that President Trump has made a “good start” on fulfilling his campaign promises. “In these challenging and divided times, I know in my heart there are better days ahead,” Pence said. Pence listed Trump Administration accomplishments like placing a new justice on the Supreme Court and undoing the EPA’s “Waters of the U.S.” rule that had drawn criticism from farmers. And Pence praised Trump’s withdrawal from the Paris Climate Agreement. “How great is it to have a president who’s more concerned with Des Moines than Denmark?” Pence asked, drawing cheers. 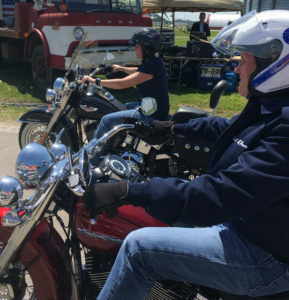 Pence was the main draw for the third annual “Roast and Ride” fundraiser hosted by Senator Ernst. 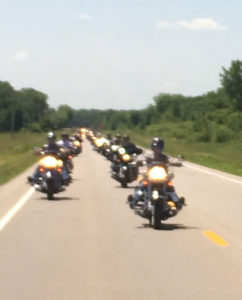 She led a three-mile-long trail of more than 500 motorcyclists on a ride from Des Moines to Boone, then from the outdoor stage on the Central Iowa Expo Grounds. Ernst praised her fellow Iowa Republicans for their role in the 2016 campaign. “We need to stand very strong and we need to stand up for the White House whenever we can,” Grassley said, to applause. South Carolina Senator Tim Scott made the trek to Boone, too, but downplayed the idea his visit to Iowa indicates he has White House aspirations of his own. Scott offered another suggestion. “I am looking forward to the day when Mike Pence and Joni Ernst are on the same ticket!” Scott yelled into the microphone. Ernst, who was on stage, too, immediately replied: “What?” and laughed. A few hours earlier, Ernst had been asked if she had any regrets about “passing on the opportunity” to serve as Donald Trump’s vice president. Pence had planned to host a fundraiser of his own in central Iowa earlier today, before the Ernst event, but a death in the Pence family delayed his arrival in Iowa. 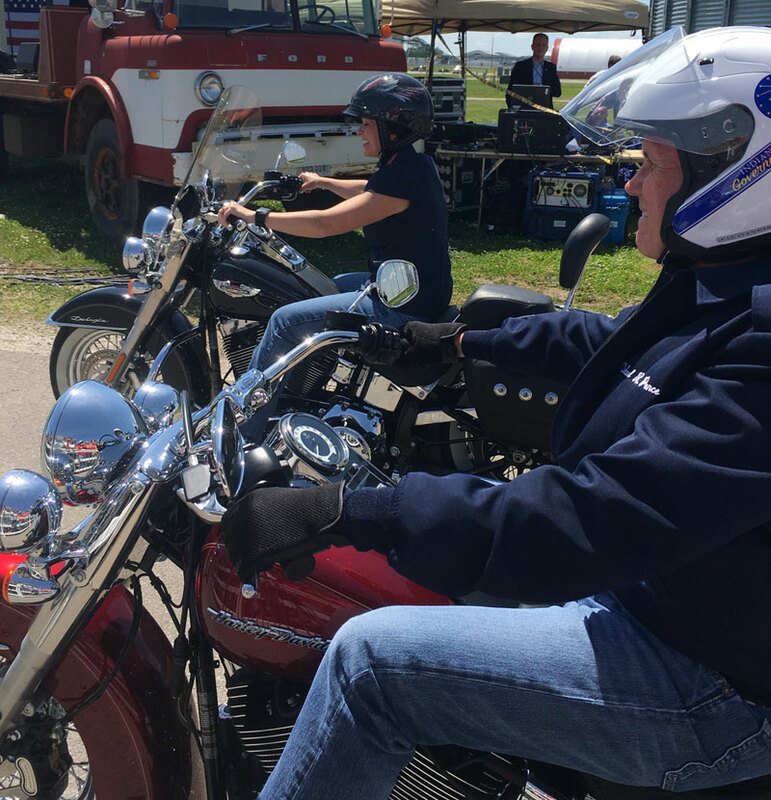 When Pence did get to the outdoor venue in Boone this afternoon, the vice president climbed aboard a Harley Davidson and rode the motorcycle to the stage alongside Ernst.